Do you hear that? Kids laughing and splashing in the pool, vegetarian burgers sizzling on the barbecue, cool ice cubes clinking in glasses of fruity sangria, a golden retriever slurping from his water bowl, your favorite tunes playing in the background. These are the relaxing sounds of summer which unofficially starts this Memorial Day weekend. 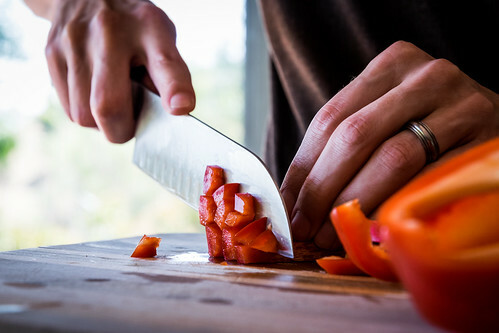 We are ready for it and so are the local grocery stores and farmers markets which have already begun over-stocking their shelves with fresh summer produce like sweet juicy peaches and tangy heirloom tomatoes. Dust off your flip-flops, get out your sunscreen and bathing suits (our apologies if you may have gone up a size or two), and let us celebrate warmer weather, school-less beach days, tropical vacation getaways, romantic evening walks, roasting s’mores outdoors, and spending more time with friends and family. 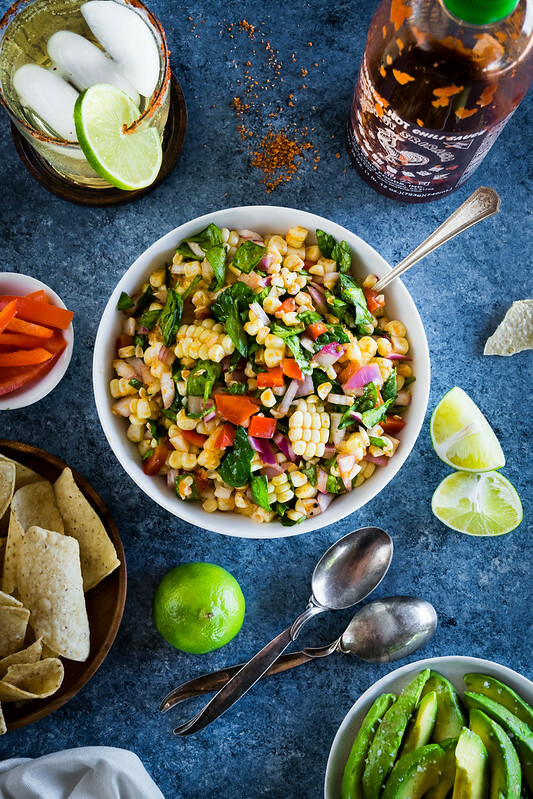 Today we would like to welcome this bountiful season with a delicious, crisp corn salad that is a little sweet, a little spicy, and perfect for all your entertaining needs. This zesty and festive salad is here to brighten and cool off your long weekend. 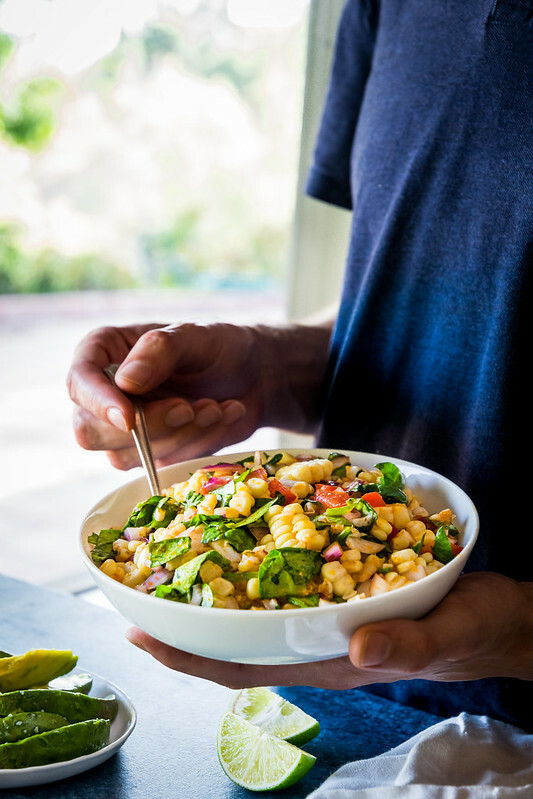 Fresh summer corn is tossed with red bell peppers and chopped baby spinach. 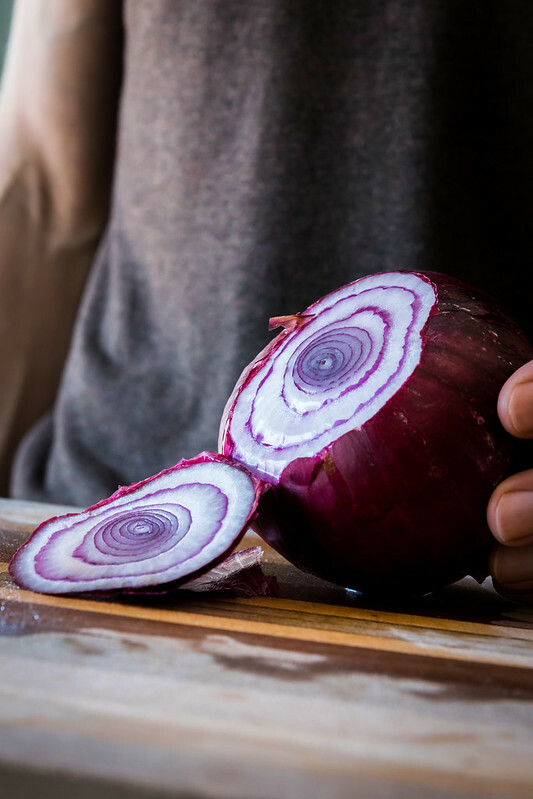 Spiked with tangy lime juice, lime zest, a red onion, and a few splashes of sriracha, this light appetizer is spicy and delicious. 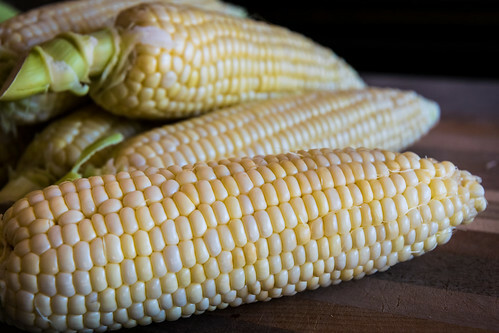 It has it all: the corn is sweet and crunchy, the dressing is sharp and citrusy with a pleasant heat, and its colorful appearance is sure to steal the show at your next swimming soirée. 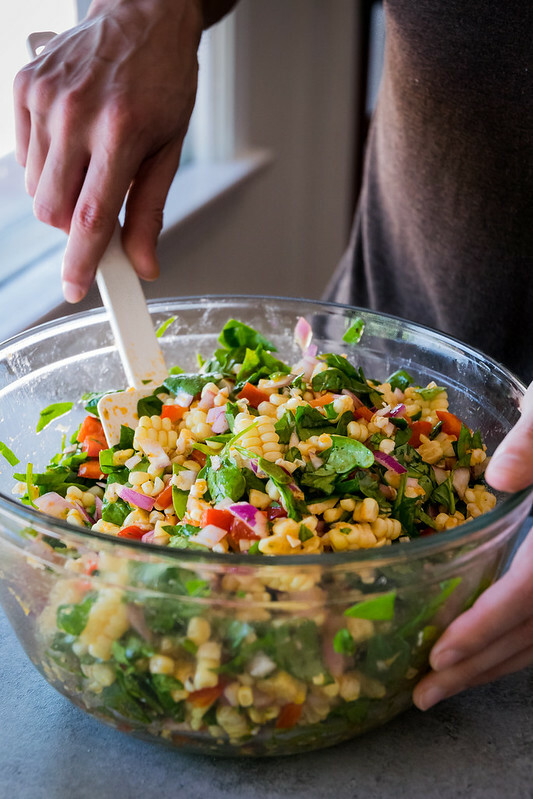 With a prep time under 15 minutes, this easy corn salad lives up to its name. 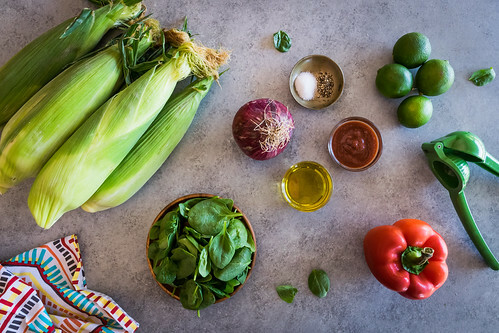 You simply husk the corn, simmer it briefly which brings out the natural sweetness, then toss all the vegetables in a bowl with the lively dressing. That’s it! You can enjoy the salad right away, or keep it in the fridge until ready to serve, allowing the flavors to blend together as it chills. Because you can make it ahead of time, this salad is perfect to take to all your summer parties, barbecues, and anywhere else where a vibrant salad would be welcome! It goes perfectly with grilled food like burgers and hot dogs, and tastes even better when enjoyed outdoors under a clear blue sky. So let’s celebrate the triumphant return of summer and the beginning of corn season, and we’ll see you at the beach! 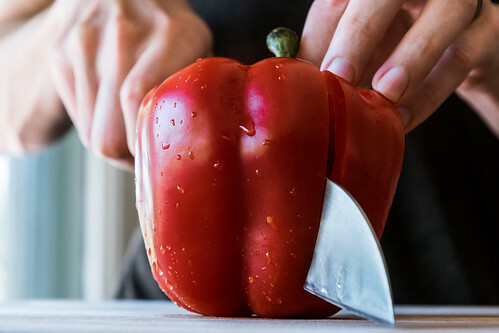 Fill a large pot with about 3 inches of water, and bring to a boil. Add the corn, cover pot, reduce to a simmer, and cook for 5 minutes. 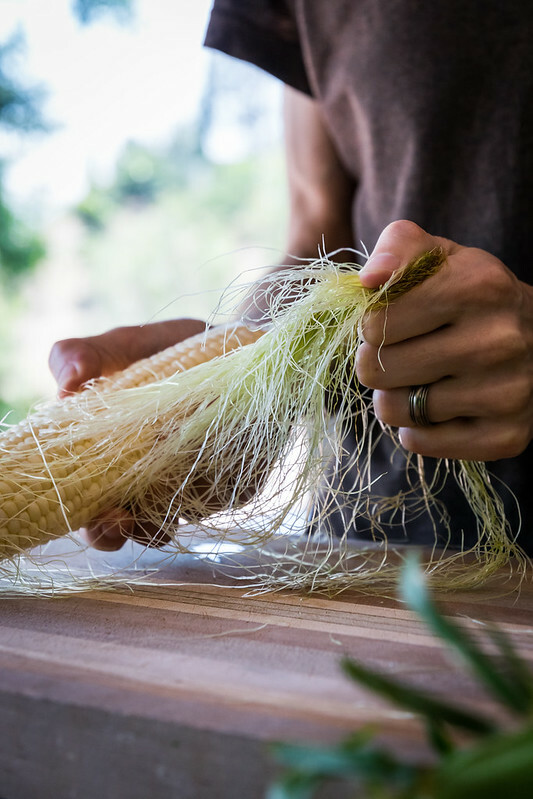 Remove corn from the pot and let cool until they can be handled easily (this is the perfect time to chop the other vegetables). 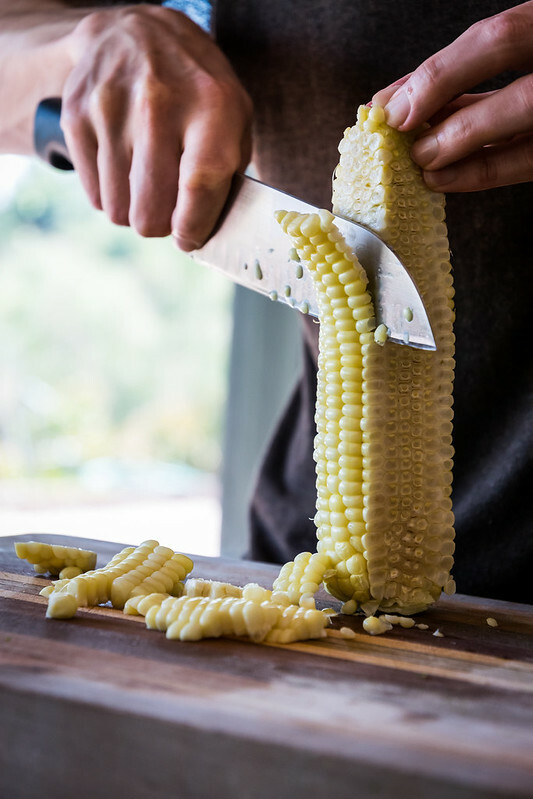 Once cool enough, use a sharp knife to slice down the sides of the corn, removing the kernels. Place the kernels in a small bowl, and set aside. 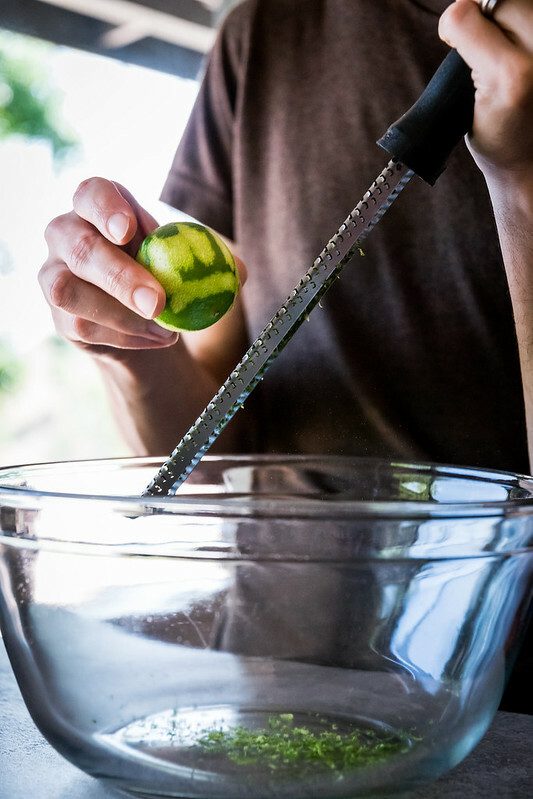 In a large bowl, combine the lime zest, lime juice, and sriracha, and whisk until combined. 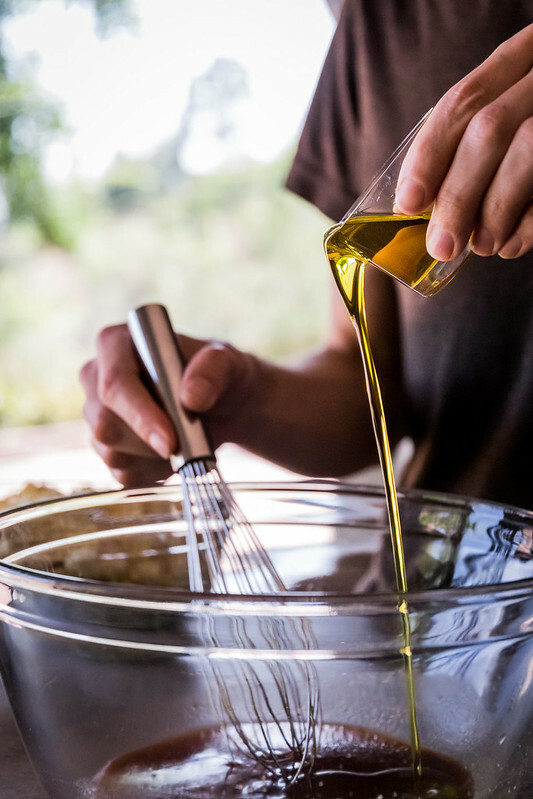 Add the olive oil and whisk until smooth. 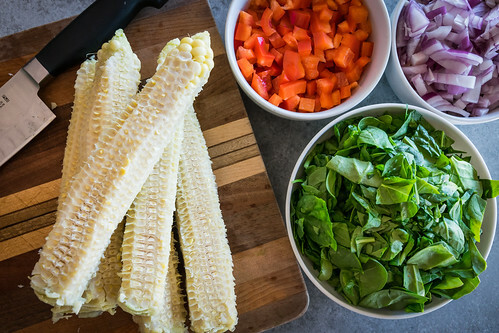 Add the prepared corn kernels, spinach, red onion, bell pepper, salt, and pepper, and toss until combined. Taste for seasoning, lime, and spice level, and adjust to taste. Enjoy! I have just found your website and I love it! The photography is stunning and the recipes look fabulous. We made this salad last night and it went perfectly with our grilled salmon. I’m looking forward to trying more of your recipes. Thank you so much, Karen, it’s nice to meet you! So glad you enjoyed the salad! 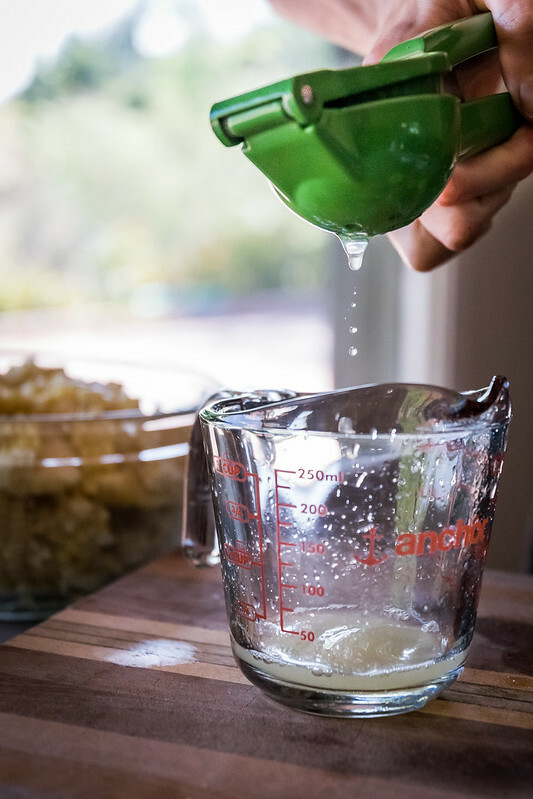 It always makes us feel happy to hear when people make our recipes!